My life has moved to the fast lane the last couple of weeks. 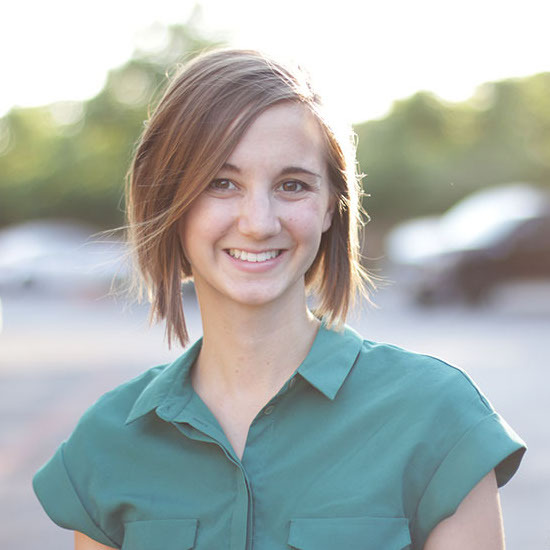 I have had a ton of activities and outings going on every week, which is unusual for me. I tend to like to have lots of time at home, but I have been trying to be more social, and to let Fox interact with friends more often, and that has meant much less time at home. It has been great (and slightly exhausting for my little introverted self), but dinner prep has definitely suffered. So this type of meal has been so great. It is about 15-20 minutes of prep from start to finish (even faster if you are using a bagged coleslaw mix), pretty healthy, and delicious. You could add some chicken to it, if you felt like you wanted a little extra bulk or protein, but I think it is pretty great just how it is. 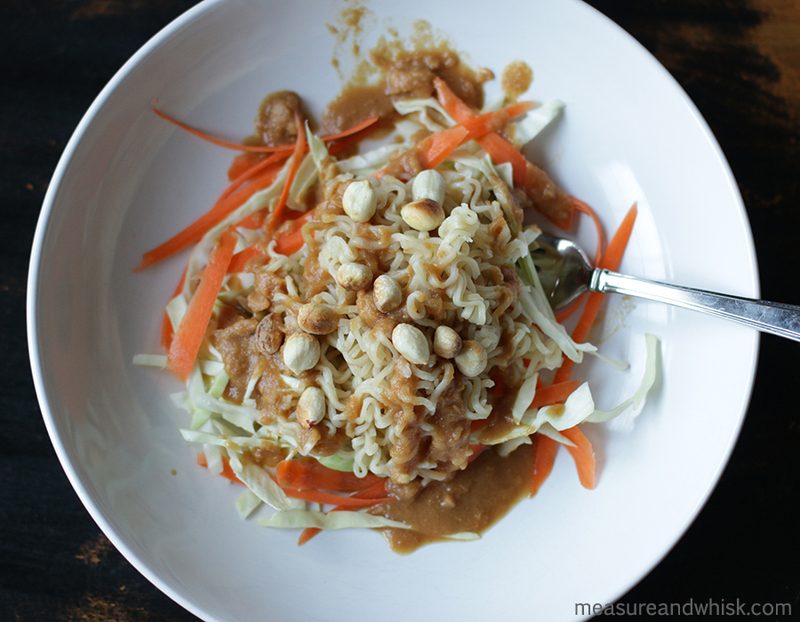 Prep your vegetables and your peanut sauce. 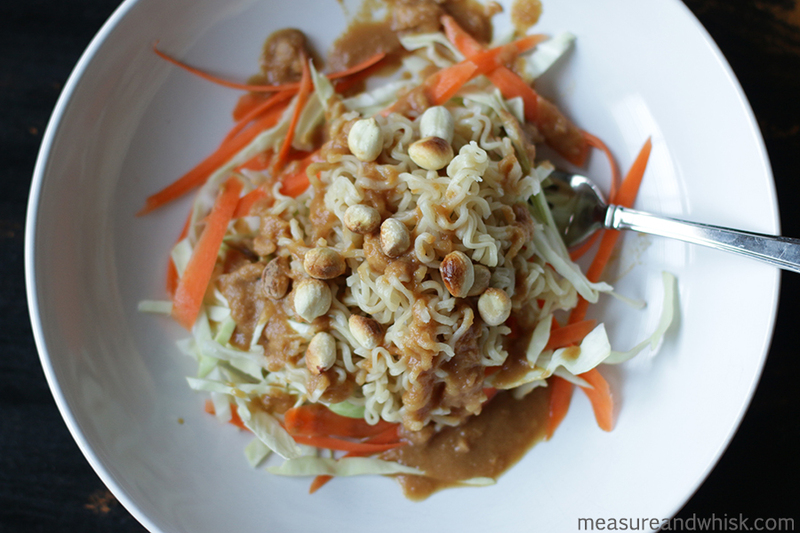 Cook your noodles (without the seasonings packet. You can discard that, or save it for another project) according to the package directions. 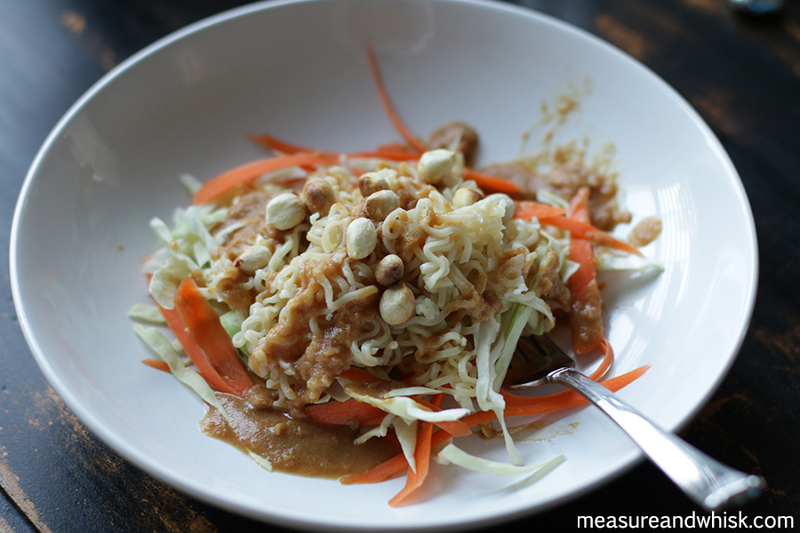 Plate by layer in the cabbage/carrot mix on the bottom, top with ramen noodles, and finish with peanut sauce and peanuts. In a medium sized jar or bowl, combine all ingredients and stir until smooth.